Product Consist : Hand Tied Bouquet of 10 Red and white Roses along with 1/2 kg Butterscotch Cake. 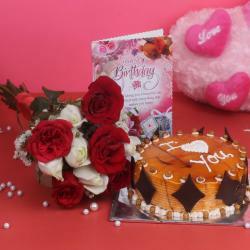 This delightful combo of flowers and cakes is a lovely way to express your love and feelings to your special someone. 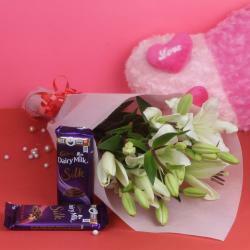 Gift experts at Giftacrossindia.com have handpicked this adorable combo to sweep your sweetheart off their feet. 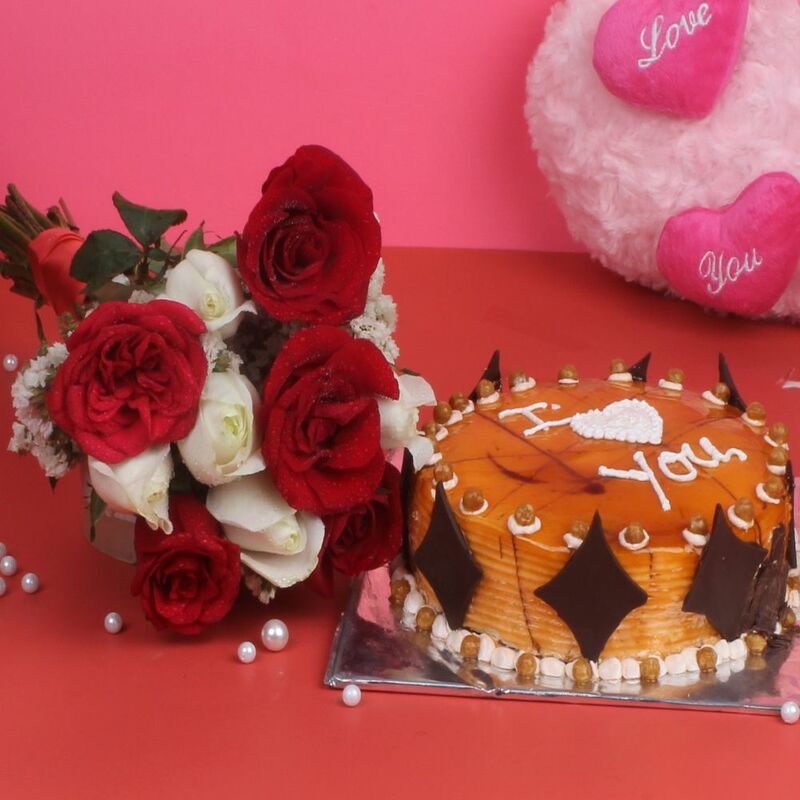 It comprises of a bunch of ten fragrant red and white roses that are freshly picked and hand tied with ribbon, and a 500 grams round cake in delicious butterscotch flavor. Such a heartwarming combo is all set to make special occasions memorable to cherish forever. So, get going and place your order now. 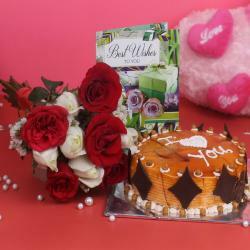 Product Consist: Hand Tied Bouquet of 10 Red and white Roses along with 1/2 kg Butterscotch Cake.